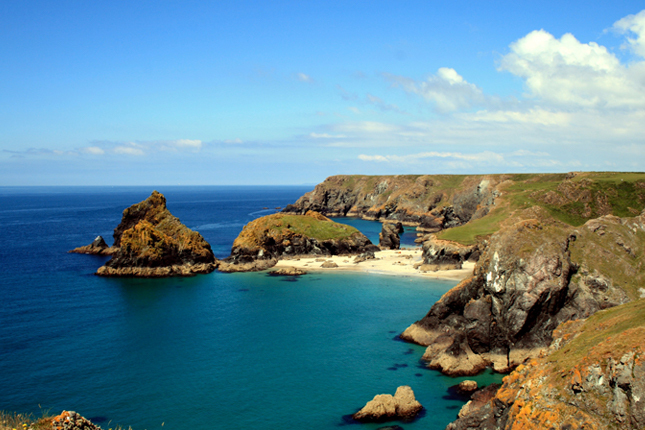 Surely one of the best beaches in Cornwall, Kynance Cove steels your heart as soon as you see it. The rocky path down from the National Trust car park reveals a breath-taking view. Jagged rocks topped off with green grass and wild flowers, silky soft sand and enchanting caves await. This beach has something for every one. Ideal for the family (though you'll need to carry a push chair) with eco toilets and a great cafe, enjoy a traditional cream tea with a view that can’t be beaten. 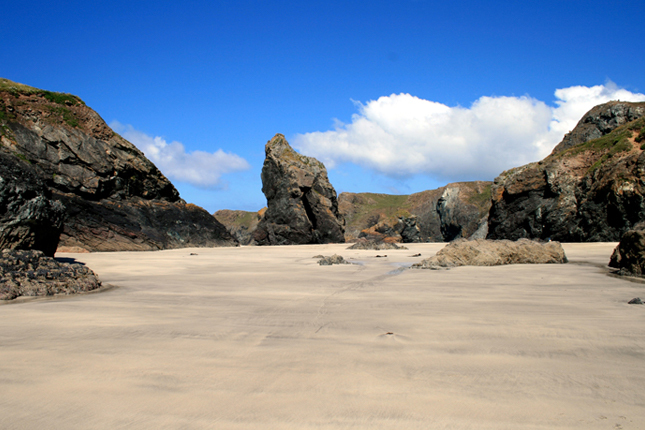 You’ll want to make a day of it, and with most beaches in Cornwall you’ll need to know the tide times. At high tide the beach all but disappears, but at low tide the beach really opens up. 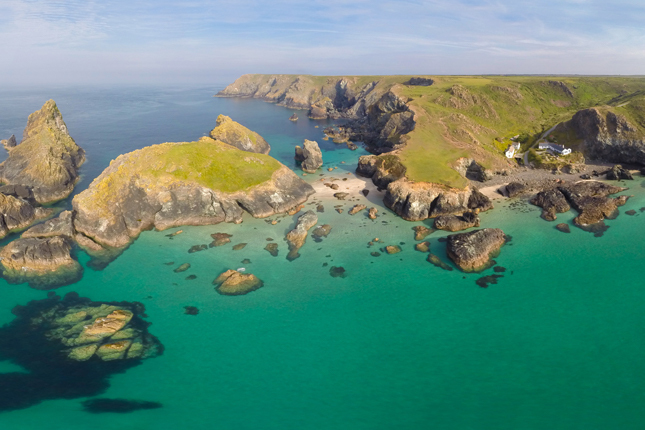 You’ll find Kynance Cove of the west side of the Lizard, when the sun shines the water is an exotic turquoise and it is clear to see why this beach remains a firm favourite and so often snapped. The caves have great and rather refined names - The Parlour and The Drawing Room to name two! Which makes perfect sense as Kynance Cove was a popular spot for the adventurous Victorian tourist. The cafe itself first opened for business in 1929, relying until recently on just spring water. Today The National Trust have made it eco friendly and the food is just plain yummy. The jagged high rising rocks, or stacks, are made from basalt and granite and are called The Bishop, Gull Rock, Asparagus Island and Steeple Rock. There is even a blow hole named The Post Office, because apparently there is enough suction to post a letter into it! It really is an essential visit whilst your are on the Lizard - one of the most beautiful beaches Cornwall, and England, has to offer. Popular in season and it is worth noting there is no lifeguard cover. Dogs are allowed but not between Easter Day to the 1st of October. The walk from the car park is about 10 minutes but it is so worth it. It is the kind of beach where family memories are made.